over the next 3 days, college is going to be inspected by the council of architecture. a lot of work has been put up, and every pinnable-surface has been occupied. all over people are running around, best exemplifying the floating population of our college. being in college during exhibitions is quite fun, there's always something interesting happening somewhere, especially if the workshops are on too. 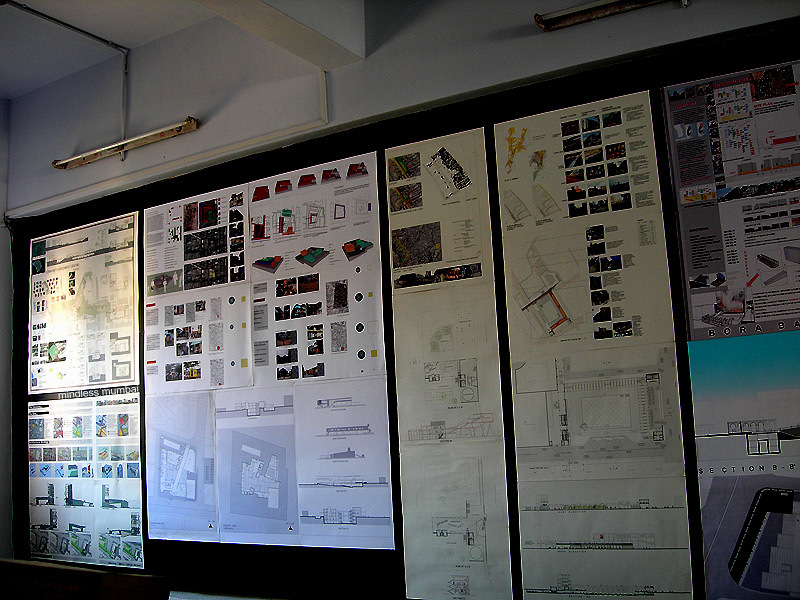 the photo is of the 4th yr, first semester design project in our studio. meanwhile, i'm not going to be able to visit any city daily photo blogs till april end, college schedules are going to get hectic, and exams are round the corner. but, i hope to keep posting regularly. c ya, all. Hahahah! Was searching for the "mindless mumbai" in this snap! Found the tiny one! As for your blogging stop, don't you worry. We will still be here when you come back and firts are your duties... Good luck, man! Thanks for your comment on my blog. Good luck with your college work. And remember, your education is way more important than blogging. Nice to see another Mumbai daily photoblog around. Stop by mine sometime. Study hard! That's the most important thing! We'll try to be patient until you return. Thanks so much for posting on Guelph! Will miss you but we will be waiting for you. Nice wallpapers ! I hope you will pass successful exams.